Danger–use caution when adding these 7 aggressive saltwater fish to your community tank–if you do, you may be asking for problems. Aggression between saltwater fish is often related to one of two major factors–a predator/prey relationship, where the fish treats the other animal as food–or because the fish is defending its territory. Territory aggression is when one fish thinks the other fish (or in some cases ANY LIVING CREATURE) doesn’t belong in its territory. Behavioral fish studies have demonstrated that an aggressive fish, if already established in a territory, will defend its territory from an outside fish–but if you reverse the order of placement–meaning you place the aggressive fish inside the territory of another fish–the aggression is not as significant. Territory aggression isn’t always about the actual territory, either. It can also be about food or access to mates. Here is a list of 7 aggressive saltwater fish. Use caution when adding these fish to your tank–or think about avoiding them altogether. It’s a shame, but this beautifully colored fish is aggressive. Most trigger fish, in fact, are aggressive. I figured I would start things off with a complex choice here. 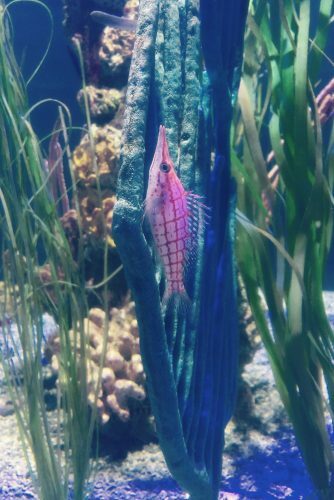 Hawkfishes are actually pretty good community fishes, in terms of how they will relate to other fishes in the aquarium–but they are extremely aggressive towards invertebrates like crabs or shrimp you would hope to keep in the tank with them. This little puppy might be inexpensive and look cute, but it can be a real pain in the tail. If you’re looking for a small, inexpensive fish, you might want to pick something other than a Striped Damselfish. Do you know what anatomical feature distinguishes the surgeonfishes from other fishes on the reef? The surgeonfishes (or tangs) have a tiny little scalpel on their tail and they will wield it menacingly to defend their territory. Known to be a hand-biter, the maroon clownfish, particularly the larger, female maroon clownfish is notoriously one of the most aggressive of the commonly kept clownfish varieties. The snowflake eel may look like a small, thin, beautifully marked fish, especially if you see it as a juvenile–but don’t be fooled. It is a member of the moray eel family–and it will eat any fish it can catch and fit into its mouth. 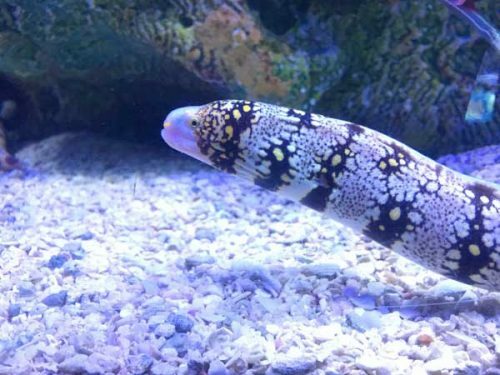 Being an eel, it can also do a better job than your fish at getting into and out of tight crevices–so there will be nowhere for your fish to hide. Of course, you can’t have an article about aggressive saltwater fish without paying tribute to the King of the Saltwater Aquarium. The lionfish is clearly an aggressive saltwater fish. It will eat any animals in your tank (fishes, shrimps, crabs) that will fit into its mouth. Aggressive behavior happens between saltwater fish. 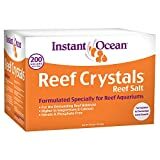 It is important to plan out the order of when you place the fish in your tanks and to make sure you’re keeping compatible species and individuals. Use caution if you’re thinking about adding a saltwater fish known to be aggressive and don’t think you can coax the natural tendencies out of the fish.